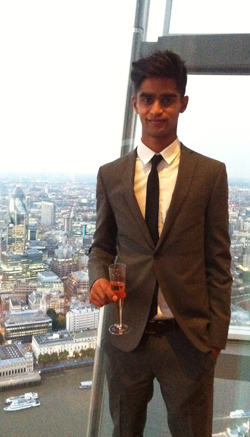 Nakul Vishvanath is a 2nd year BA Politics and International Studies student who recently received an offer of an internship with a large British Investment Bank. 1) Career Mentor Scheme – First and probably the most important thing when it comes to applying for jobs is the Importance of Networking. 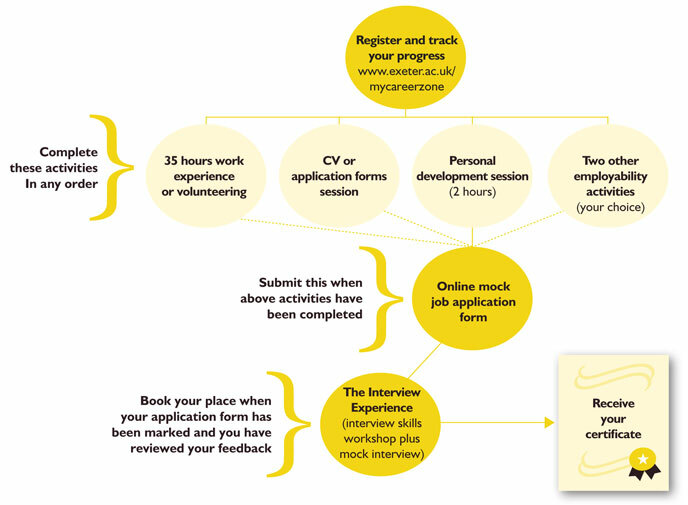 Enrolling in the Exeter’s Career Mentor Scheme allows you to leverage the university’s extensive list of professionals who are willing to help you succeed. My career mentor even introduced me to a friend in the sector and was willing to give me a week’s worth of experience, which again helped differentiate myself from other candidates when interviewing. 2) Blog about current affairs- Investment Banks know that you don’t study economics or finance but want to see that you keep up to date with the news. Saying that you regularly read the Economist or that you’ve set Bloomberg as your home page is something recruiters would have heard plenty of times before. MarketMogul.Com offers students the chance to write about the current affairs and when interviewing acts as tangible evidence of your interest. 3) Practice Numerical Online tests – Online tests are the first filter of many job applications and you need to pass the minimum benchmark to proceed in the process. 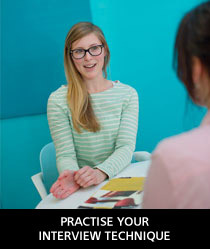 Ensure to practice repeatedly and the Career Zone also offers seminars on how to pass these. Due to the volume of applications I sent out some of the questions even started to repeat themselves, so again don’t be disheartened if you get rejections. Getting an internship is ultimately a law of averages; the more you send out the more chance you’ll get one. 4) Research the company – THOUROUGHLY- If you are lucky enough to get through to a telephone interview or a face to face interview make sure you research the company. Constructing a SWOT analysis of the bank is a great way to get familiar with the company’s competitors, challenges faced and how the future of the bank is panning out. The bank I applied to was undergoing corporate restructuring but again I sold this as a point of attraction and how I could make use of the opportunities that came with change. 5) Be yourself! – As clichéd as it sounds, your personality will have an impact on whether you get hired. Investment Banking is a people business and inevitably involves dealing with clients. Be enthusiastic about the job and company’s cultural values; if these don’t reflect how you work as a person you’re probably going to find investment banks with a better cultural fit. 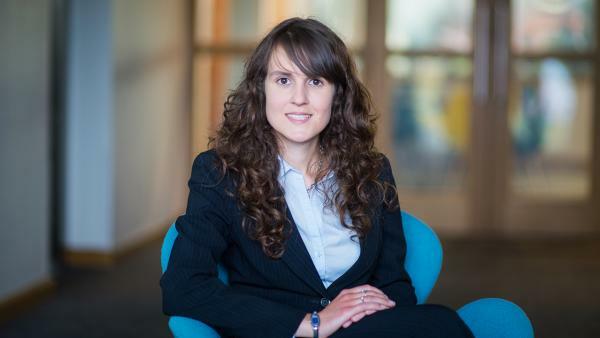 University of Exeter alumna Sarah Duke writes about her experience of staying in the south west after graduating and working as a solicitor for Michelmores. Want to be a lawyer? Ambitious? Determined? Surely that means you have to work in London? – think again! 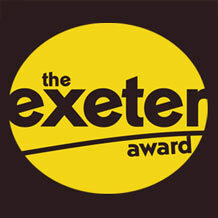 During my time at the University of Exeter, I fell in love with the South West and in fact, I never wanted to leave. As a keen surfer and hiker, I relished the lifestyle in this beautiful part of the world. However, since my early teenage years I have known that I wanted to be a solicitor, a career choice seemingly completely opposed to continuing with the Westcountry lifestyle I loved. And so, off I went making half-hearted applications for the largest firms which everyone applies to in London – sound familiar? After various internship opportunities in London I knew something wasn’t quite right and standing on a beach in Western Australia during my gap year I realised what it was. I could think of nothing worse than spending the rest of my life in the middle of the big city of London, surrounded by offices and crowds of people (although of course some people love the vibrancy and buzz that this brings). Then I met Michelmores and other firms with South West offices at a careers event. After speaking to Michelmores’ trainees at the time − probably almost associates by now, I realised that pursuing my dream combination of top quality work and an outdoors lifestyle really was possible. After applying to various firms in the Exeter area, I was extremely lucky to be offered a training contract with Michelmores in the Summer of 2012. After two years of commuting into London from the outskirts and spending four hours on a train a day to study my GDL and LPC, I finally walked through the door of the Exeter headquarters on 3 September. Every morning when I wake up and drive my six minute commute down a country lane, I remind myself how lucky I am to be here. And so I leave you with this thought. You only get one life, so make the most of it. Don’t be pressured into only applying for training contracts at the largest London firms because there really are great opportunities on offer at other firms – and I’m living proof! Go on, live the dream. 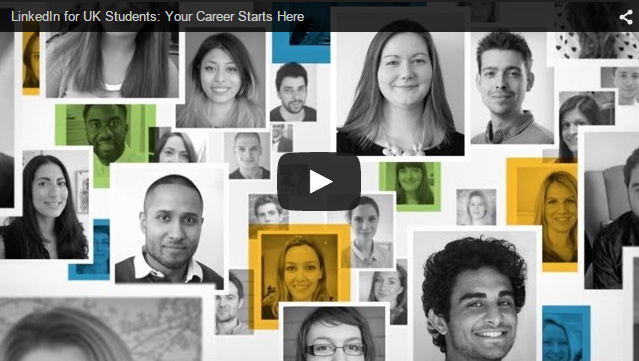 You can read more about being a trainee with Michelmores on their blog. 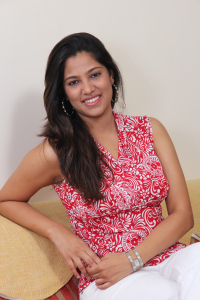 Exeter graduate Purva Mestry gives us an insight into working in Social Media. To most of us Social Media never strikes as a thing to have a career in. We normally look at it for what it is: a place where we can be social. The internet, along with the variety of social and digital platforms available at our disposal, has enabled improved connectivity among people even if they are on different time zones. I had a colleague who met his wife on quora.com, got further acquainted and fell in love via twitter.com, facebook.com and Instagram. I am not exaggerating, this is a true story. Reach: The reach of anything on the internet is wider than that of any print ad or a TVC. It is possible to pass your message to a million people within seconds through social media. Of course, you need to employ the right keywords and the best-suited platforms for the same. 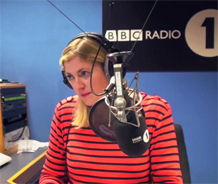 Measurable: Every platform used online is measurable. This helps you assess the success of your campaigns as well as optimum utilisation of resources. Some platforms like Facebook, Wordpress, etc. have built-in analytical functions whereas platforms like Pinterest, etc. need certain external tools for the same. 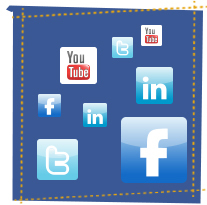 Cost effective: As compared to traditional media, social media is very cost effective. There are many platforms that provide services for free and some that provide advertising services at a minimal cost. You can also optimize your expenses by targeting your advertising expenses for online marketing and social media based on accurate geography, demography and many other factors. Personal: Another unique benefit of social media is that it helps brands connect on a personal level with their consumers. Customer feedback is absorbed faster through social media as compared to traditional marketing methods. Social media has helped personify brands that people can see it as a comrade or a guide. However, these are the benefits brands have when they use social media for their marketing efforts. What is it like working in social media and why should you be working in the social media industry? It is the future of advertising and marketing. People have been observed to rely on the internet for everything. Soon, there will come a day when traditional advertising will have become redundant. It is a fast paced industry. With the reach of anything on the internet and social media being wide, things need to be done faster than they usually would with the traditional media. You have to be socially active to stay up to date. But who wouldn’t want to do that if you get to work on platforms like Facebook, Twitter, Linkedin, Google+, WordPress, etc. You don’t always need to be at your workplace. A decent internet connection and a device is good enough to help you working from anywhere in the world. With everything very nice there comes a drawback. Although, a career social media doesn’t have many. The first being risk mitigation can be a task. Brands can be made or broken within seconds. However, if you are on top of your work, you should be sorted there. Social media executive: This job role basically involves execution on various social media platforms. Scheduling or posting updates on various social media platforms (Facebook, Twitter, Linkedin, etc. ), maintaining hygiene on your social platforms (deleting or hiding spam), conversing with end users regularly, measuring the success of campaigns, etc. are few important things you can be expected to fulfil as a social media executive. Client Servicing executive: This job role focuses on maintaining and managing the day-to-day relationships between clients and the execution team. Things like approvals on posts, images, ideas, taking feedback, pitching new ideas to the client and communicating the same to the execution team are the things you can expect out of this job role. Media buying executive: This job role involves facilitating advertising on social media platforms. Creating advertising plans, measuring and tracking current advertisements on social media platforms are some of the top things expected from this job. Graphic designer: This job role involves creation and enabling contests on social media platforms, designing of websites, microsites, etc. Knowledge of a variety of design softwares is necessary to apply for this job. Image designer: This job requires the incumbent to visualize and design images as per the client requirement. Knowledge of photo creating, photo editing and photography is essential to succeed in this job role. I have listed the major roles that we can see in agencies. Sometimes, a certain role may have a different name but the job role remains the same. So you want to work for a charity? 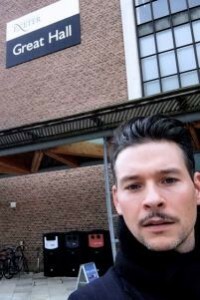 Gethyn Williams is an alumni of the University of Exeter with 10 years experience working in the Voluntary and Community Sector (VCS). He recently visited the University to take part in a talk about the third/voluntary/non-profit sector, and wrote this blog post about it. You can read more from Gethyn on his blog. 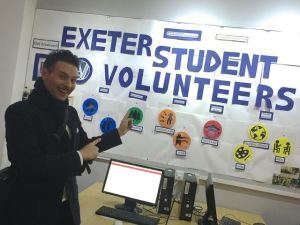 Last month I was delighted (and, after a 15 year mutual restraining order, not entirely unemotional) to return to my old University (Exeter) and talk to a group of undergraduates considering careers in the third/voluntary/non-profit sector. In 2001 I joined the voluntary sector quite by accident. I had a vague idea about doing something socially useful and assumed that meant something in politics. How naive! I was aware of the possibility of working for charities, but hadn’t thought of them as a ‘sector’ with such variety and viable career routes. In addition, the part of the sector I’ve worked in most – the bit that glides, arm-in-arm with the state, clumsily across the dance floor of policy and funding (them leading, reluctantly) – has changed hugely since I signed up. And though I welcome the sharpness the years of austerity have added to my VCS game, I don’t particularly envy those starting out now. 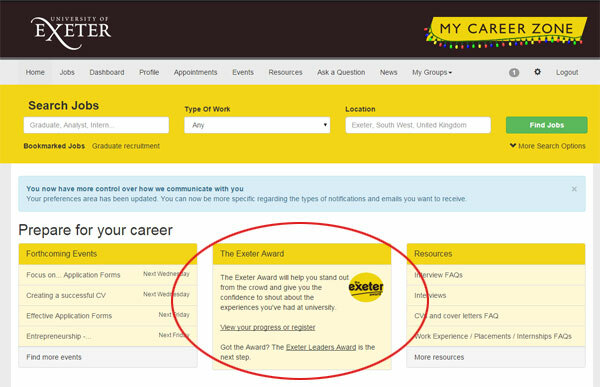 So I’m not entirely sure what Exeter thought I could usefully impart to their students. Aside of course from being an up-and-coming ‘rising star’ of the VCS. For at least ten years now. But nevertheless I had a go. Also on the panel were the very, very wonderful and talented ladies Debbie Hill, Head of Volunteering at The Children’s Society and the Laura Lewis, Head of Volunteering and Training at Youthnet. What follows is a brief summary of what I said – and some of the questions and comments came back from The NextGen. Hardly a pioneering insight, but nonetheless the premium of volunteering experience as a career asset has never been greater, especially considering how ultra-competitive the open recruitment process now is. But aside from being tremendous fun, a way to gain experience and try out different roles, volunteering is also a great way to develop your entrepreneurial tekkers. As a volunteer at the front line, they say, you’ll have a unique take on how well (or not) a particular service or transaction works, and develop strong insights for improvement and innovation. Think you could do it better? Perhaps you’re a budding social entrepreneur. Here’s a guide to starting a social enterprise from SEUK and an example of a high end development programme for individuals with great ideas. Or failing that ask this guy for advice. He’s been there. Tell him I sent you. Making the direct approach. Pick a charity you admire or cause you care about. Most charities will have their own ‘volunteer with us’ info on their websites. 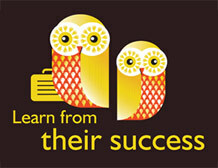 Join In – my current employers – specialise in matching potential volunteers with community sports clubs and project. But if you’re not sure where to start try the Doit site. Don’t be scared of commitment – it doesn’t have to be a life sentence. In recent years charities have got much better at offering variety (of role and tenure) and personalising roles to what an individual wants or is able to give. Becoming a Trustee of a Charity. This will give you the opportunity to make a direct and vital contribution to the area you live in or a cause you care deeply about, as well (if you’re lucky) as gaining skills and experience in strategic oversight, governance, and networking. Approach charities you know (perhaps with an offer to volunteer first), search Doit or consult groups like Young Charity Trustees for advice and support. Exploiting your natural advantage as a young person. Plenty of charities have youth voice, ambassadorial or advocacy roles for young people to make a difference in their internal business and/or external affairs. Your ability to engage your peers and communicate well will be key, but the good news is a travel, training and personal development package is usually thrown in. Search for great youth organisations via the NCVYS membership. Doing it yourself. These days you don’t even need a charity to volunteer, you can cut out the middleman. Enter ‘social action’ – self-directed volunteering targeted at young people looking to make a difference and gain skills as they go. Here’s a site which lists such opportunities. Groups like vinspired will even give you cash to develop and deliver your brilliant idea, solo or with your mates. Want more? Ask this guy about moving from young ambassador roles to a career in youth empowerment. He’s done it in style (chin beard aside). Great question, you. Either is the answer – it doesn’t really matter as long as your reasons for doing it are credible and authentic. Neither option is more worthy, what matters is you can convince future employers that you understand why you did it and what you got out of it. You don’t want much, do you? Getting your first job through open recruitment processes is achievable but tough. We’re only half way through The Cuts and the economic recovery is weak and slow, so whether your charity of choice is funded via the state, trusts like the Big Lottery Fund or public donations, it’s still very much a buyer’s market. And once you get a foot in the door, job security, career progression and wage stagnation will continue to be real issues for many years. The way to circumnavigate this is to put time into developing yourself, your personal brand and your networks. More on this below. If you’re looking to work with the most marginalised or vulnerable in society – the kind of people that might slip through the gaps in state provision or suffering most as public services are scaled back – you’re unlikely to walk straight into something paid. Volunteering to gain experience in the field may be your best option. But if you are determined to find paid work in these areas try looking more at campaigning or junior project roles in larger national charities. A basket of basic digital skills will help you here. Again, more on this below. Finally, devolution (the transfer of powers and what remains of the public £ from central government to local and sub-regional levels) will hopefully bring more career options outside of London. Major cities like Manchester, Liverpool and Birmingham will have increased freedom to plan their own affairs, which should be good news for their local voluntary sectors in an era where the state can no longer afford to lead everything and meet the expectations of their communities. Cardiff, Edinburgh and Belfast – now 15 years into their own devolved governments – are also interesting places to check out. Start developing yourself now. Say yes to as many career-tasting opportunities as you can, collect interesting volunteering experiences, perhaps try to put aside a small career development budget so you can travel to attend useful conferences and seminars. Despite the cringe title, I found Reid Hoffman’s The Start Up of Youa really helpful way to think about all this. Your personal brand is important. Mine is currently the Voluntary Sector Alchemist. It means I enjoy helping charities leverage more value from their most intangible assets – their goodwill, their volunteers, their relationships. It suits the challenges of the time and what I love doing. I used to be a Voluntary Sector ‘Evangelist’ (a term I stole from jobs in tech industries) and in time I hope to be a Voluntary Sector Jedi, for which you won’t need to see my identification; I am the employee you’re looking for. Having a personal narrative wasn’t really an issue when I was starting out. Yours doesn’t have to be as formulaic, but you will need a credible way of describing who you are, where you’ve been and why you do what you do that shows off both your passions and your skills. Charities are sensitive to their image and impact; they’re buying you, so authenticity is key. They’ll expect you to be a digital native. Many charities are upping their game when it comes to their storytelling. It helps them get their message across better in an increasingly competitive and diverse media. A basket of basic creative and digital skills – some photoshop, web build, DSLR ability, film editing, copywriting – will stand you in great stead for entry level project roles where you can capture the difference being made. The good news is you can teach yourself all this via youtube and similar. Start collecting images and film from all the cool stuff you’re doing, and put together your own tumblr or microsite showcasing your brand and your storytelling capabilities. It might just be the new CV. I’ve really enjoyed my time in the sector so far. In many ways it’s a wonderful world to be in. I may stay, I might move on. I don’t know yet. But what I have learned is you don’t necessarily have to work for a charity to ‘do good’. The boundaries between sectors are becoming more blurred all the time. Think about what you love to do rather than where you might need to be to do it, and you’ll be amazed where you might end up. What you do will define you, not where you work. This short film is a bit old now, but still really hits the spot. Go easy on yourselves, and good luck. You can read more from Gethyn on his blog.